Welcome to this month's edition of the BOMA eNewsletter. 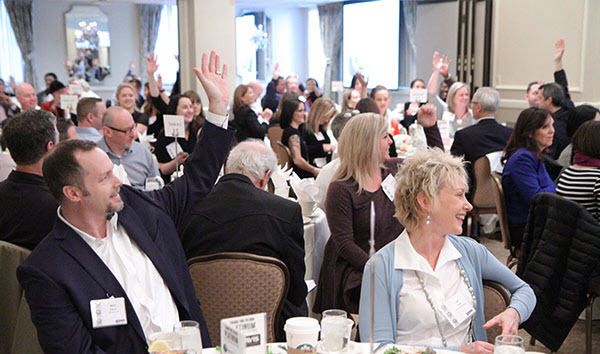 In this edition, you'll get to know our featured Member Spotlight, see what our next general meeting is about and find out who our latest recipient is of the 2019 Jack Dierdorff Scholarship! You can also get involved by becoming a TOBY judge, participating in the EER or taking advantage of one of our many sponsorship opportunities. It's packed with all the information you need to maximize your membership! 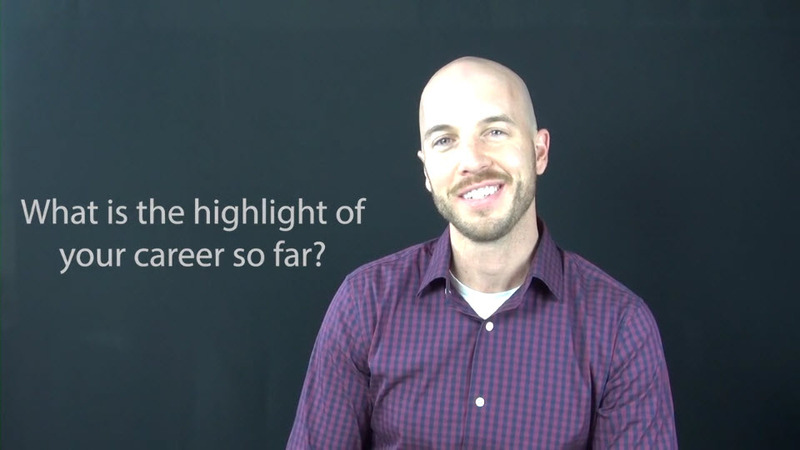 This month's Member Spotlight features Brandon Gardiner from CBRE, Inc. Click on the image to find out how Brandon got into the industry and why BOMA is important to him. Who would you like to see featured next? Email Christine Miclat with your nominees. Join us for BOMA's March 25th General Meeting! Steve Mattson, Director of Operations at Oakview Group will discuss the upcoming transformational project that will revitalize Key Arena for future generations. 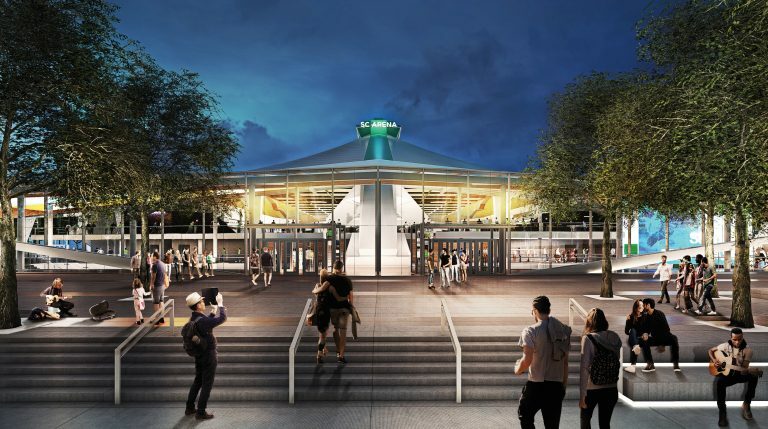 Come hear about our new world-class sports and entertainment venue that will enhance the urban experience at Seattle Center. Steve will also address the new Northgate headquarters, practice facilities and its surrounding neighborhoods that will host Seattle's new NHL hockey team.Don't miss this month's general meeting and register today! From left to right: Joe Malaspino, Kristen Halberg, Coleen Spratt, Megan Osenbrock, Richard Caragol. 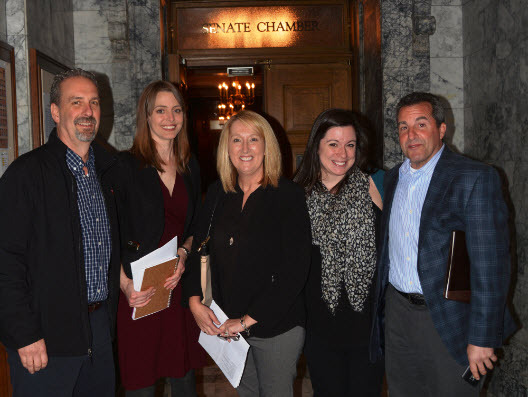 BOMA members attending our annual Olympia Day event. BOMA is supporting a bill that is still active called C-PACER for Commercial Property Assessed Clean Energy & Resilience Financing, This bill would allow more property owners to make long-term investments that reduce environmental impact than they otherwise could with limited capital. For more on BOMA’s advocacy on behalf of commercial real estate and our members, please click here. Kim Burberry, Assistant Property Manager at BioMed Realty LP is the recipient of the 2019 Jack Dierdorff Scholarship! Kim is looking to get started on her RPA designation and this scholarship will cover her first course - The Design, Operation and Maintenance of Building Systems Part 1. Kim is and is already off to a great start to a bright future in commercial real estate! Congratulations, Kim! Interested in applying for a scholarship? We have one more to give away! Visit our Scholarship page to learn more. We’re looking for Regional Judges for this portion of the competition. The buildings you will be evaluating have won at the local level in the Pacific Northwest Region. If you are interested, please fill out a TOBY Regional Judging Form by Monday, March 11, 2019. Thank you so much for your consideration to help. Please see more details below! The BOMA Pacific Northwest Region is looking for a few committed industry professionals to judge the 2019 Pacific Northwest Regional TOBY entries. Volunteers will be asked to judge and score the entries online from the comfort of your own office or home from March 15th through March 25thwhich includes weekends. It is estimated that each building judged will take about 1-2 hours and we hope each judge might agree to judge two buildings but will be happy if you can judge one. This is a great way to learn about another real estate professional’s property! Once your information has been received, we will contact you with further information. The 2019 BOMA Education is now available and ready to take registrations. Click here to view the full schedule. Visit www.bomaseattle.org and click on Education Calendar from the menu bar to register for classes today! For more information, please contact Christine Miclat. Emerging Professionals or anyone new to the industry are encouraged to attend. Don't miss this valuable course! This entry level course covers the fundamentals of commercial real estate administration, management, building systems, accounting and reporting, contract management, and more. It’s perfect for those new to property management or anyone who may have learned on the job and has training gaps to fill. The purpose of the conference is to provide the business community with the information necessary to find partnerships and solutions that will save energy and money, improve comfort, and enhance productivity in their facilities. The Powerful Business Energy Conference will provide ways to save energy and money for commercial building owners and managers, building operations and engineering staff, architects, engineers, and property developers.Continental breakfast, lunch with a keynote speaker, and a vendor reception are all included.Essential energy-saving ideas—quick wins, deeper strategies, and future visions—will be presented in three tracks. 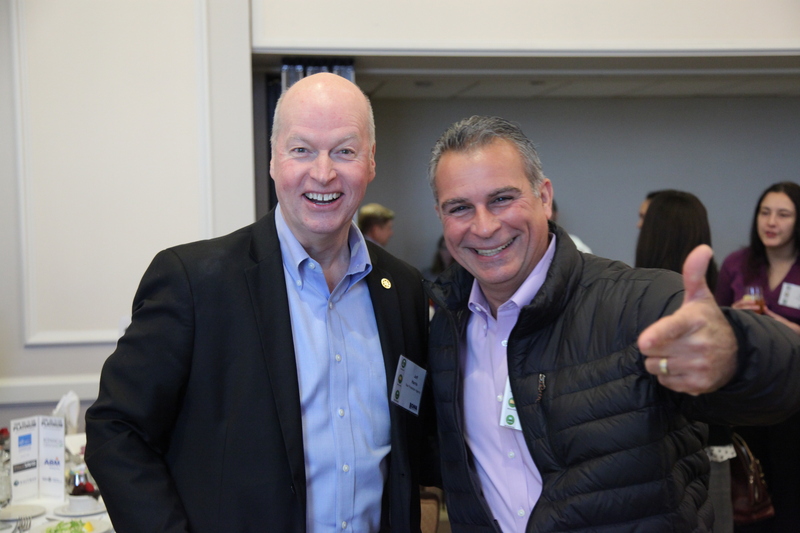 Market your company’s goods and serviceswith sponsorship opportunities available through BOMA Seattle King County membership. Please contact Cori Taniguchi if you have any questions! The Home Depot offers BOMA members an exclusive annual rebate incentive program. Receive a 2 percent annual rebate on all qualifying pre-tax purchases (a qualifying purchase is any pre-tax purchase on a registered account), plus extra services and savings. There is no cost to enroll. Annual purchases must total a minimum of $25,000 to qualify for the rebate. The rebate period runs March 1 through February 28. You can enroll at any time; however, the sooner you enroll the sooner you start earning your rebates. Rebate payments are issued annually within 60 days of the end of the rebate period. Enrollment is now open, and you must enroll to participate. Click here for more information and how to enroll. The BOMA 360 Performance Programsets the standard worldwide for operational best practices in the commercial real estate industry. For building owners and managers who want to help their properties stand out from the crowd, there is no clearer mark of excellence than achieving the BOMA 360 designation. Sharing your property’s data with BOMA International’s just-opened 2019 Office EER and Industrial EER surveyscomes with big benefits. You’ll get deep discounts on and priority access to subscriptions for the 2019 benchmarking reports in June, as well as a free top-level Market Snapshot. Once you’ve saved money on your EER subscription, you’ll be ready to save even more by benchmarking your commercial property using the Office EER or Industrial EER. Research shows that properties that use the EER to benchmark their properties can save up to 3% each year on operating expenses. Any commercial property can submit prior-year income and expense data to the 2019 surveys, regardless of whether or not the property is owned or managed by a BOMA member. The online submission form allows most respondents to finish in about 30 minutes, but there’s no need to complete an entire survey at once. Save your answers as you go and return to the form as many times as needed before the April 1 deadline. And, you’ll never need to worry about the data you share: Only market-level information is published and all data submitted is kept in strictest confidence. Remember: All date submitted is kept in strictest confidence, and only market-level information is published. Start your survey now at eer.boma.org. We're now on Instagram! 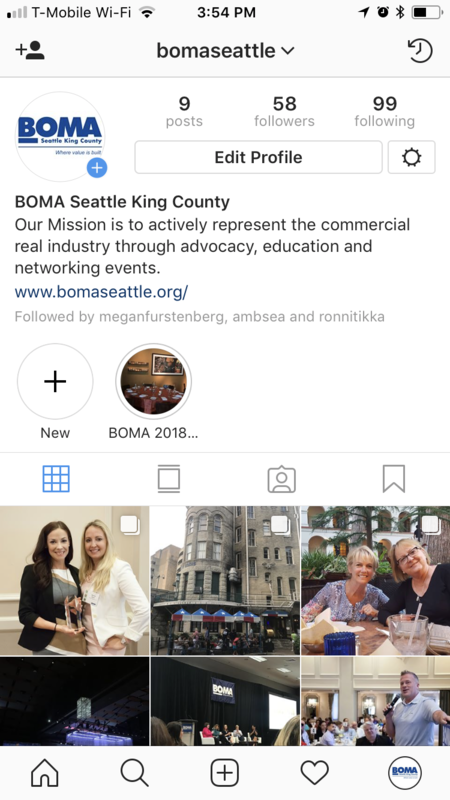 Follow us (@bomaseattle) for more content and updates!